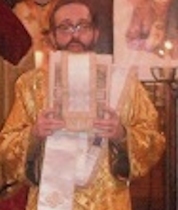 Panayota Rigas is the President of the OCF. 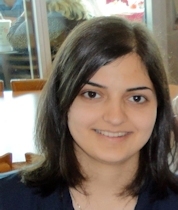 She is a fourth-year undergraduate who is majoring in the Biological Sciences and Spanish. 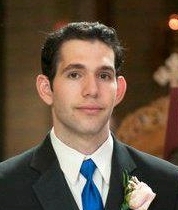 Alex Sotiropoulos is currently the Vice President. He is a third-year undergraduate student pursuing a degree in Political Science. 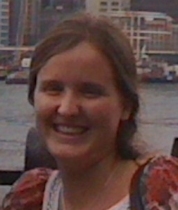 Sarah Granger is the Treasurer for the OCF. 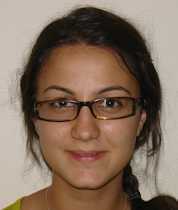 She is a fourth-year undergraduate, majoring in Classical Languages and Literature. Mara Farcasanu is the Secretary/Publicist for the OCF. She is a second-year undergraduate who is majoring in Chemistry. 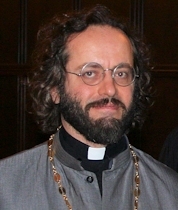 Richard Zaleski serves as Assistant to the Chaplain. He is a doctoral student in the Divinity School studying New Testament and Early Christian Literature. Fr. Elijah Mueller is the OCF University Chaplain. He is a doctoral candidate at Marquette University, and lives in the Hyde Park neighborhood, where he serves St. Makarios the Great Orthodox Mission (OCA, Diocese of the Midwest). Deacon Lawrence (Bernard Dugoni) is assigned to St. Joseph Church (OCA, Diocese of the Midwest) in Wheaton, IL, and assists Fr. Elijah with the OCF. 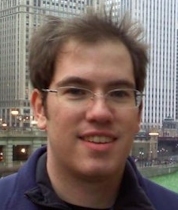 He also works as a Senior Methodologist for NORC at the University of Chicago. Fr. 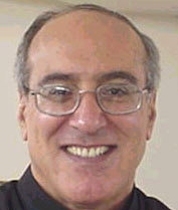 Danial Doss, a native of Egypt, is retired from work at Argonne labs, and has assisted chaplains at the UChicago OCF for many years. He was ordained to the priesthood in 2010, after serving many years as a deacon in the OCA Diocese of the Midwest.